The Aaaargh-ttaboy Clarence Halloween Special! There’s eerie music from Louis Armstrong, Bing Crosby and Mary Ann McCall! Brook Darnell returns for an inside look at one of horror’s greatest icons! There’s a dip into the Question Pot! The winner of the Jamaica Inn competition is announced! 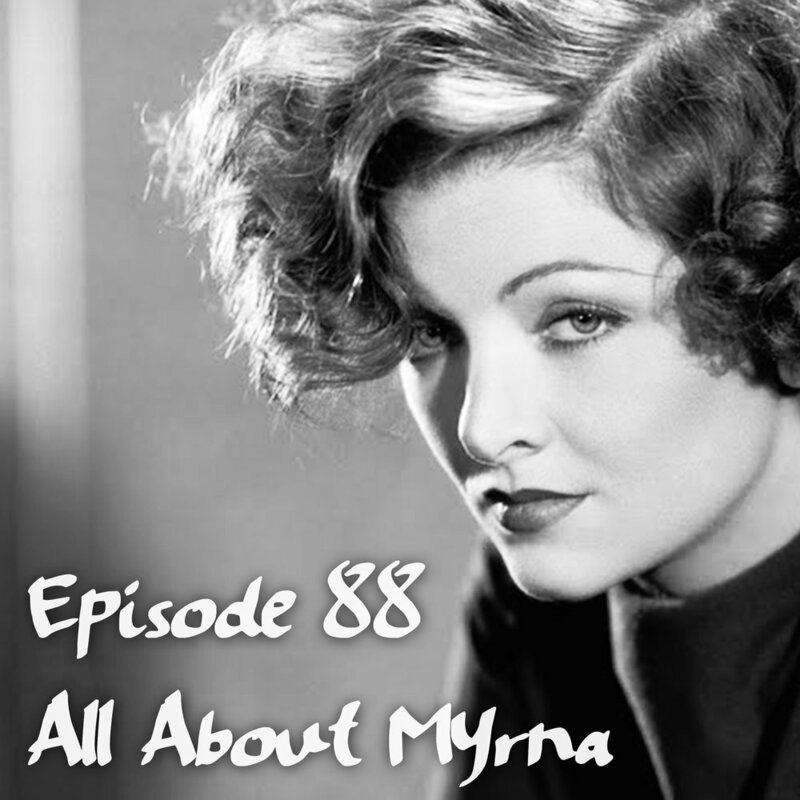 Myrna Loy remains one of the Golden Age's most beloved stars. But do you know how she got her start? And what can the marvellous Brook Darnell dig up about her from the Library Of Congress in this week's edition of 'Brook's Inside Looks'? There's also music from Bob Hope, as well as a flying visit to the Question Pot! Reviews this week are of four Myrna movies: I Love You Again (1940), The Thin Man Goes Home (1945), Too Hot To Handle (1938), and Libeled Lady (1936). The competition winner is announced. Have you won? And a trip into the darker side of classic cinema, as we take a look at three movies from the Golden Age that were BANNED! Gene Autry, Janet Leigh, Robert Mitchum, Greer Garson, Brook Darnell, Sherlock Holmes, Dr Watson, a very old-time radio version of the nativity, the Christmas Pot, Sookie, Frank Sinatra, and of course, YOU the listeners!